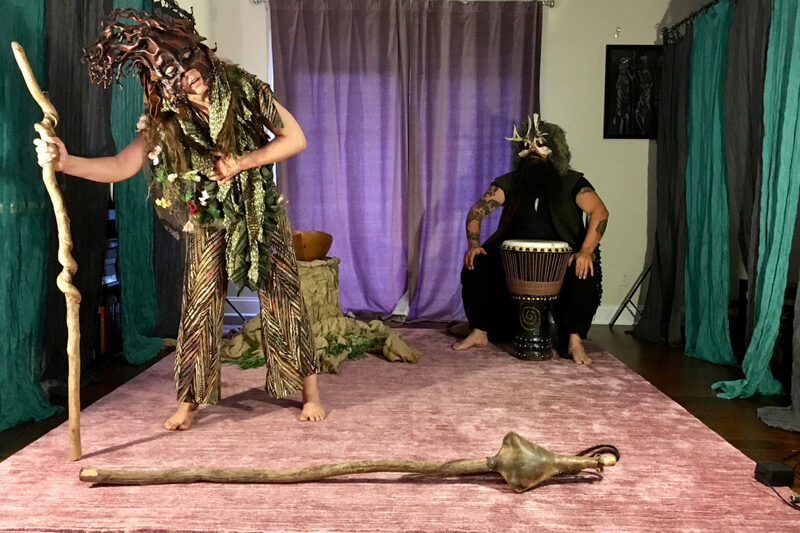 Holy Fool Arts is a theatrical production company that uses the transformative power of dance, drumming, theater, story-telling, song, circus arts and spoken word to inspire communities across North America to live in right relationship with the Earth. HFA seeks to speak prophetically to the failings of our current economic and ecological paradigm and call all into the emerging paradigm of sufficiency and solidarity, cooperation and creative embodiment. Restoration Village Arts is deeply honored to be a long-time partner and supporter of Holy Fool Arts’ many transformational projects, including their flagship production, the Carnival de Resistance. We strongly encourage you to visit their website, follow along with them, bring them to your church and/or community, and support their life-giving visions with your time and money. Viva la Resistance!